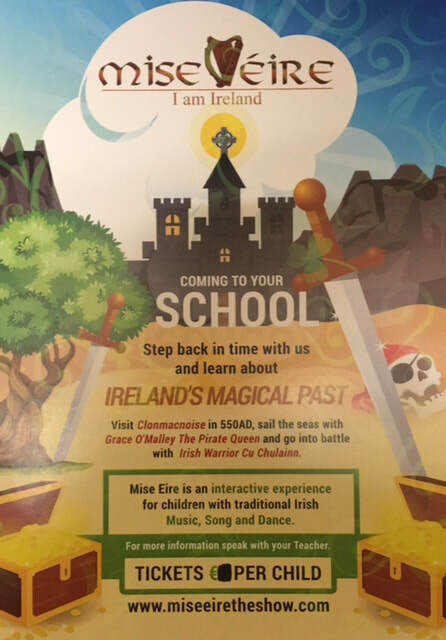 Mise Éire is an interactive experience for children with traditional Irish Music, Song and Dance and this show will be in our school tomorrow Tuesday February 13th. Pupils from St Francis Boys and Tubber NS will also be joining us for the show. This year we were delighted to announce our decision to make a Christmas CD. All students had been practising their Christmas songs in school before joining Joe Egan in The Nutshed Studio in Clara to record the CD. 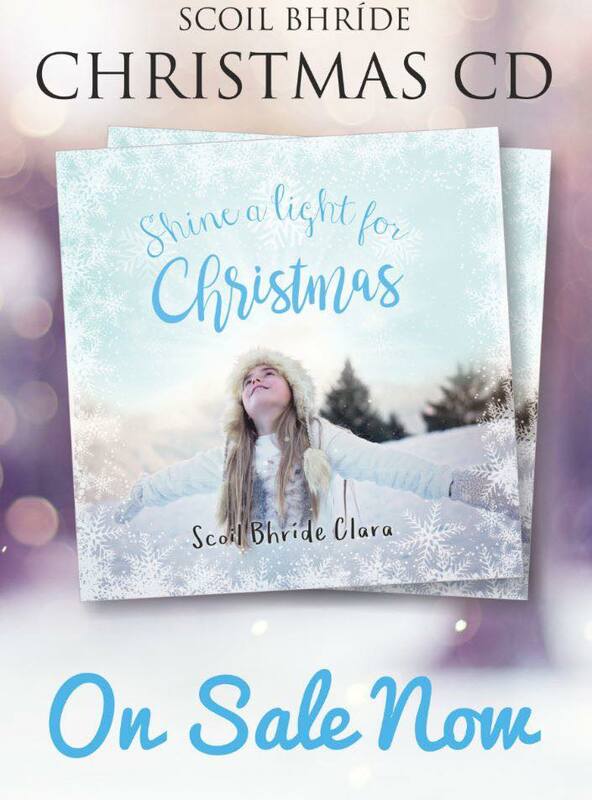 The CD was launched at our Christmas Coffee morning on Tuesday 19th December where parents, staff and the people of Clara gathered to hear our students sing every song on their CD. CD's were on sale at the coffee morning for €10 each, and they were also on sale in Baggots Centra, Kennys, Londis and Serenity Giftware. We would like to extend a sincere thanks to all our sponsors and patrons, parents and staff, local shop owners, Stephen Rabbette for the design of our CD Cover and finally, Joe Egan for allowing us to record our CD at his recording studio "The Nutshed." We were also fortunate enough to have obtained a slot on Midlands 103 on Christmas Eve where they held a 1 hour special based on our CD. Wishing all our families a very Happy and Peaceful Christmas and a Prosperous New Year! We were all very excited when Santa Claus arrived in Scoil Bhríde on Friday 22nd December. Santa Claus came to visit all the students before he embarked on a very busy journey on Christmas Eve. He visited every class and even had a selection box for every student! This year Scoil Bhríde collected 130 filled Shoe Boxes. We would like to thank all the students, parents and grandparents for their generosity and for making this years collection the most successful to date. Here are some pictures of our students with their filled shoe box. Former 6th class pupils and their teacher Ms O'Lone were recorded by Brenda Donoghue from RTE for the Today show with Daithi O'Shea and Maura Dirrane. The recording aired on RTÉ's Today Show in September 2017. Midlands 103 also featured an interview with Ms O'Lone and the 6th class on their evening show. Some photos of the recording can be found below.